On May 11, 1935, President Roosevelt signed into law a Bill allowing for local groups to form non-profit electric cooperatives for the purpose of bringing electricity to the rural farms of East Texas. At that time, people residing in cities had been enjoying the benefits of electricity for many years; however, since it was not profitable for the private power companies to serve the widely scattered rural population, the farmers and ranchers did not share the luxury of electric service. The law caused a boom of new electric cooperatives across the nation, one of which was Deep East Texas Electric Cooperative. The Cooperative received its charter on January 14, 1938, and a seven member board of directors was established. The cooperative was to be called Deep East Texas Electric Cooperative, Inc. with its headquarters located in San Augustine, Texas. After the laws and the by-laws were established and all necessary legal work was completed, the Cooperative set forth to secure its first loan of $128,000 from the Rural Electrification Administration. In July 1938, the first distribution pole was set in Shelby County. From that point, lines were stretched in nearly all directions in Shelby County and continued on into San Augustine and Sabine Counties. Both work and progress grew and at the end of the first year, Deep East Texas Electric Cooperative had some 140 miles of distribution lines serving 822 members. 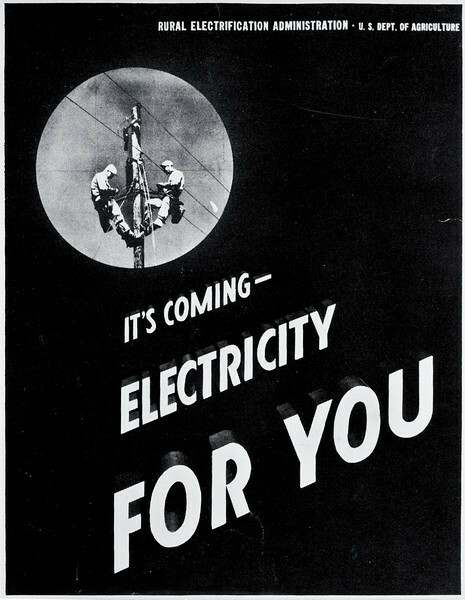 On December 16, 1938, the lines were energized with the electricity which was purchased by DETEC from two private utility companies, Texas Power and Light Company and Southwestern Electric Power Company through the Texas-Louisiana Cooperative. 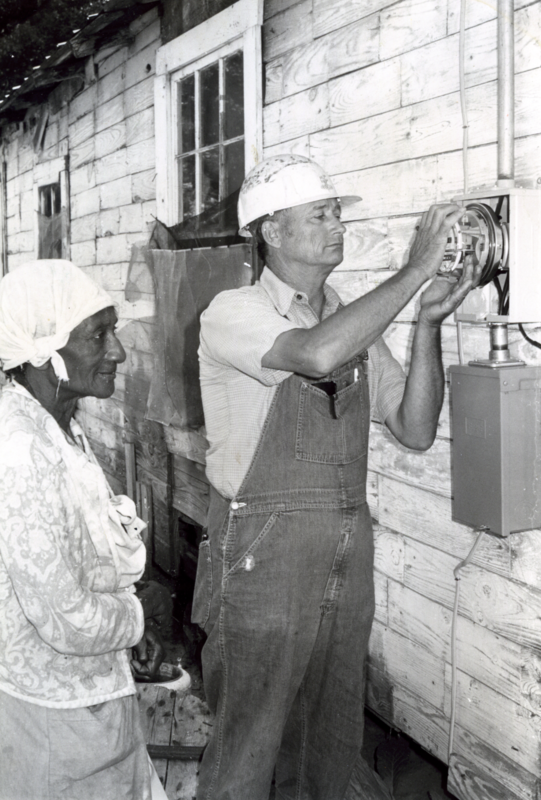 This was the beginning of the first rural electrification cooperative in the Deep East Texas area. Since its establishment, DETEC has operated as a non-profit business owned and operated by its member patrons. The Co-op pays regular property taxes, county taxes and school taxes. As a private, non-profit organization, the Co-op does not pay federal income tax. The by-laws of the Cooperative provide that amounts received by the Co-op from its members for electric services in excess of the cost of transacting business will be returned to its members over a period of years. This net margin rightfully belongs to the members because their patronage has made it possible. When it is returned to them, they are not receiving a profit, all they are getting back is the difference between what they paid for the service and what it actually cost to provide the service. The result is service at cost, or non-profit service. Since the first pole was set in 1938, DETEC has grown both in membership and in the transaction of business. When established, only three counties were served by the Co-op. Today the Co-op serves eight counties including San Augustine, Nacogdoches, Shelby, Newton, Panola, Jasper, Sabine, and Rusk. A larger board of directors has been established as well as a larger employment force. In 1938, there were only 25 people employed by the Co-op. Today there are over one hundred people employed. DETEC today has approximently 7,000 miles of distribution lines with some 40,000 meters connected. Since 1938 DETEC has paid more than eight million dollars in capital credits back to its consumers. Though our main business is providing affordable and reliable electricity that is not all we do. Safety continues to be a top priority. At Deep East Texas Electric Co-op, we place great focus on employee safety training and strive to emphasis the importance of your safety when working around electric lines. Another top priority is to give back to the communities we are a part of through donating money and time to local causes. This activity keep us connected to you and reminds us that together we make our communities better places to live. Additionally, our employees all pride themselves on delivering great service every time they work with a member, whether they visit with them in the field, at the grocery store or over the phone. With Deep East Texas Electric Co-op, you have a partner in the power that arrives at your home or business. Whether it’s the constant job of making sure electricity is there whenever you flip a switch or offering advice on the safest and most efficient use of electricity, your Co-op is here for you.